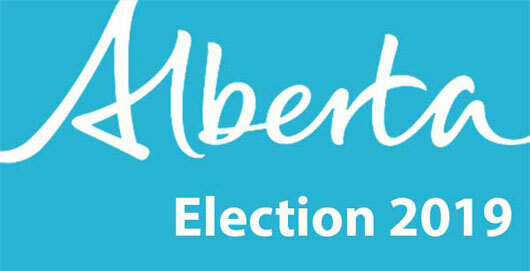 All posts related to "elections"
The general election in Alberta is scheduled for April 16, 2019. Make your voice count. What changes would you like to see in models of arthritis care? Arthritis is a chronic disease that has a devastating and debilitating effect on the lives of more than 6 million Canadians. According to the Alberta Bone and Joint Health Institute, more than 500,000 Albertans are living with arthritis – approximately one in five. Within a generation, more than one in four Albertans is expected to have the most disabling and life-threatening types – osteoarthritis and rheumatoid arthritis. Arthritis is the leading cause of disability and work disability in Alberta, with nearly three out of every five people with arthritis of working age, costing Alberta’s economy $3.3 billion in direct and indirect costs. ACE sent an open letter and a survey to candidates running in the Alberta election. As part of its core government outreach activities and in the spirit of non-partisanship, ACE outlines the impact of arthritis in Alberta and asks each candidate to share how government can improve prevention, treatment and care in Alberta. What will your government do to bring a high quality, standardized evidence-based model of arthritis care for all Alberta residents? What will your government do to improve the uptake of biosimilars and increase accessibility to life saving medications and reduce out-of-pocket costs for Alberta residents living with inflammatory arthritis? What will your government do to improve the healthcare and lives of Aboriginals living with arthritis in Alberta? How will your government establish better prevention programs and facilitate flexible work arrangements to help reduce the direct and indirect costs of arthritis to Alberta employers and the Alberta economy? Will your government take steps to increase the number of rheumatologists and trained arthritis professionals to ensure timely, specialized care for Alberta patients with arthritis? ACE will be collecting Party and individual candidate’s responses. Responses will be posted on the Alberta Election 2019 page as we receive them. Élections 2017 au Nunavut : le jour du scrutin, votez pour l’amélioration des soins de l’arthrite. Les prochaines élections générales au Nunavut auront lieu le 30 octobre 2017. Comment peut-on améliorer les soins de l’arthrite ? L’arthrite affecte environ 12 000 adultes de 15 ans et plus dans les Territoires (Territoires du Nord-Ouest, Nunavut et Yukon). Au nom des électeurs du Nunavut atteints d’arthrite, le comité ACE (Arthritis Consumer Experts) a expédié un questionnaire aux candidats se présentant aux élections de 2017 au Nunavut. Veuillez noter que contrairement à la plupart des élections fédérales et provinciales au Canada, les élections pour l’Assemblée législative du Nunavut se déroulent selon un modèle de gouvernement de consensus non partisan dans lequel les candidats se présentent comme indépendants plutôt que comme candidat officiel nommé par un parti politique. Arthritis Research UK’s Arthritis Champion campaign had a successful turnout in its second-ever parliamentary reception. The event aimed to raise awareness of the needs of people with arthritis and highlight the challenges to limiting its impact. At the event, twenty-seven MPs (members of parliament) signed up to be Arthritis Champions. When a MP commits to becoming an Arthritis Champion, they are supporting the Prevent, Transform, Cure – the Arthritis Research UK manifesto. The manifesto calls for decision makers to put in place policies that will lead to the prevention and cure of musculoskeletal conditions while transforming the service provided to those that live with them.